All the ingredients for your next dinner party, or midnight snack. 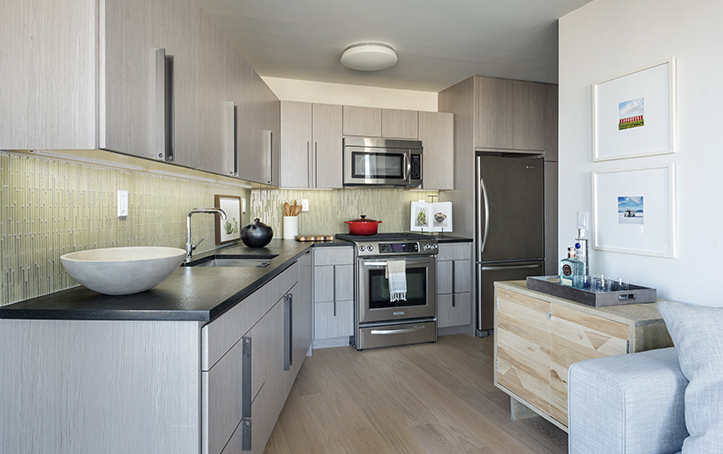 The kitchen at The Ashland is a study of design and function – a complete suite of Kitchen Aid and Bosch stainless-steel appliances, surrounded by the soft tones of the oxidized grey cabinetry with custom gunmetal accents. The glass tile backsplash joins a striking Absolute Black granite countertop, creating an ideal space to cook and entertain.